With many idols going public with their relationships and numerous celebrity couples getting married, seems like Heechul ofSuper Junior has felt his need to settle down as well. 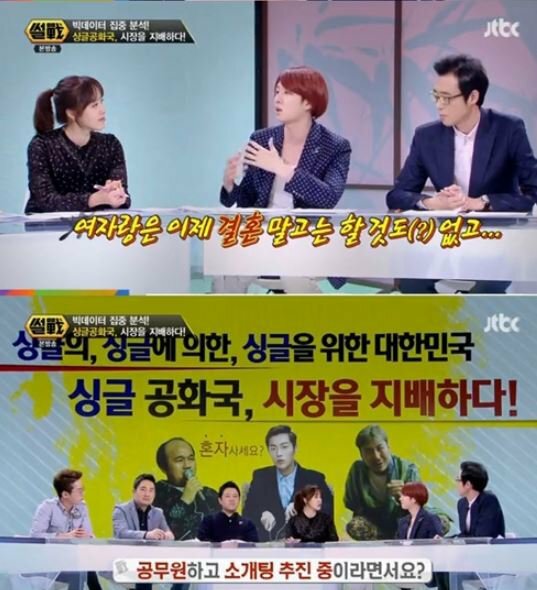 On the March 27 episode of JTBC’s “War of Words,” the cast discussed the recent market trends directed at the single households, when Heechul decided to touch on the topic of marriage. 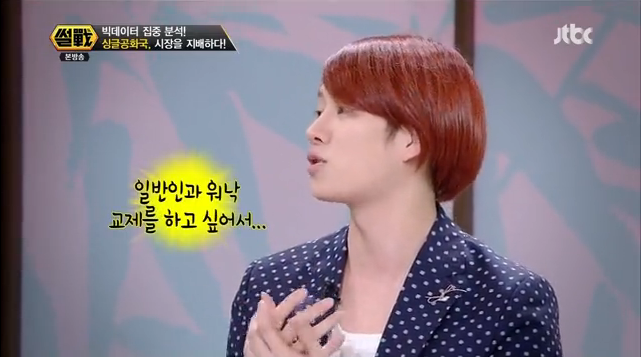 “I just want to meet ordinary people,” the Super Junior member confessed after hearing the others’ thoughts.